All TONTO FOREST ESTATES homes currently listed for sale in Mesa as of 04/18/2019 are shown below. You can change the search criteria at any time by pressing the 'Change Search' button below. "QUICK MOVE-IN INVENTORY HOME UNDER CONSTRUCTION. RARE opportunity to purchase 1 +/- acre lot and with large single level home! 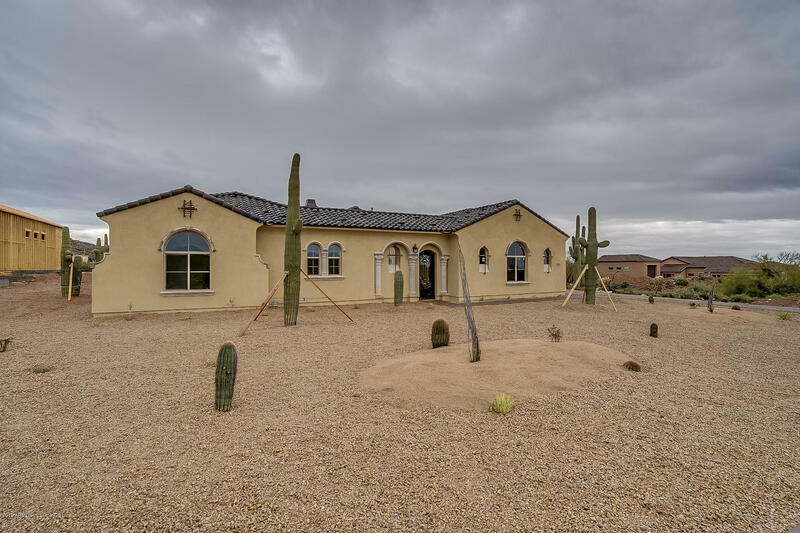 This gated neighborhood offers natural desert beauty, privacy and tranquility. Large back yards surrounded by open desert space, single story flexible floor plans to suit all needs, RV garage options, and casita options! Impressive mountain scenery and views overlooking the valley! Nearby freeway access for easy commuting. Close proximity to conveniences such as golf cou"
"HOME TO BE BUILT Spec home. NEWCONSTRUCTION OPPORTUNITY.RARE opportunity to purchase 1 +/- acre lot and with large single level home! This gated neighborhood offers natural desert beauty, privacy and tranquility. Large back yards surrounded by open desert space, single story flexible floor plans to suit all needs, RV garage options, and casita options! Impressive mountain scenery and views overlooking the valley! Nearby freeway access for easy commuting. Close proximity to conveniences such as g"
"HOME TO BE BUILT. NEW CONSTRUCTION OPPORTUNITY. RARE opportunity to purchase 1 +/- acre lot and with large single level home! This gated neighborhood offers natural desert beauty, privacy and tranquility. Large back yards surrounded by open desert space, single story flexible floor plans to suit all needs, RV garage options, and casita options! Impressive mountain scenery and views overlooking the valley! Nearby freeway access for easy commuting. Close proximity to conveniences such as golf cour"